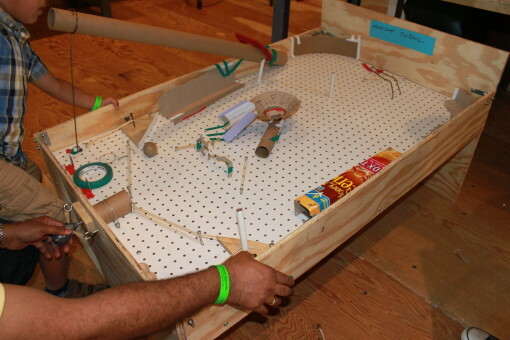 While the month of June was themed “cardboard arcade”, there was one game that has lived through many iterations over these summer months, and that is the pinball machine. While Christian made the basic body of the machine, it was a collaboration between Teaching Artists and visitors who added on the essential components: flippers, a ball launcher, and obstacles along the board including ramps, tunnels, and even little LEDs that would turn on. First, the pinball machine was just themed “pinball”. 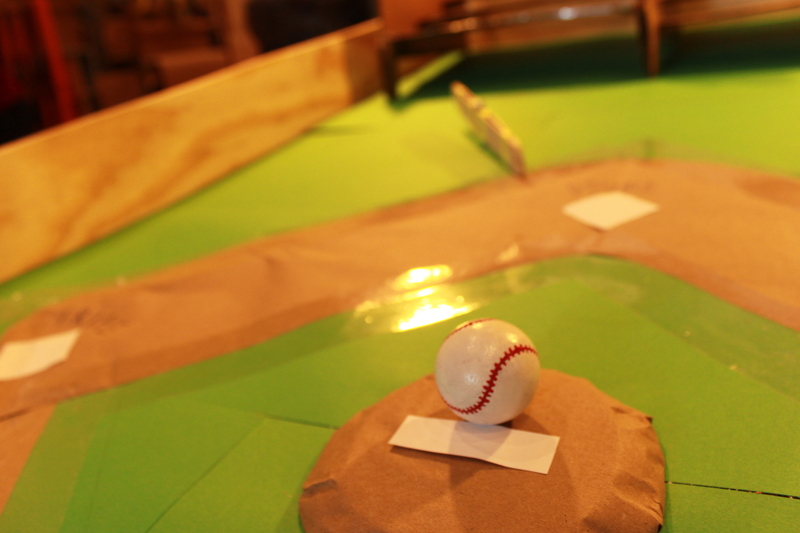 But for the Museum’s 30th birthday party, it was baseball themed! Maker Corps and Teaching Artists added the baseball diamond and painted the balls like little baseballs, while visitors added stadium seating and players on the field. 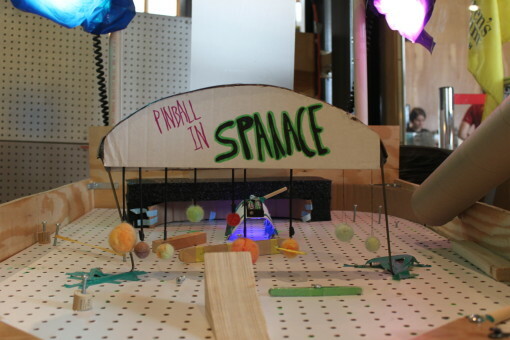 The next iteration of the pinball machine was themed outer space. The maker corps members made little planets by felting little balls, and Derek added a black hole made out of black stockings and a cardboard tube.